Our lake is 43 acres. In the summer, you can rent a boat from the boat house to fish from. In the winter, you can go fishing. Our lake is currently stocked with Rainbow Trout and Grass Carp. It is stocked twice annually with Rainbow Trout. Once in the spring and once in the fall, depending on the temperature of the water. Members in good standing and their guests are permitted to fish and may only use ONE fishing rod each. The daily take home limit is two (2) fish per member, with a monthly take home limit of twelve (12) fish per residence. Any fish kept by guests will be included in the residents’ limits. ABRA encourages the Catch and Release* practice. Care must be taken to release the fish properly. Each member must register the number of fish caught before leaving the park. All fishing equipment that has been used in another body of water MUST be cleaned 24 hours prior to use in our lake. No live bait or any type of food, or nets may be used to catch fish. Lead weights are not permitted for environmental reasons. Single barbless hooks only (no treble hooks). 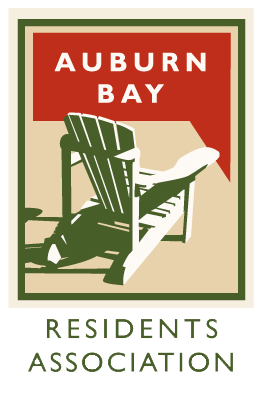 Cleaning of fish is not permitted on the Auburn Bay Residents Association property, pathways, docks, shoreline, ABRA boats, or within the lake. Members must leave their membership card with the appropriate staff member when they enter the park to fish. Fishing within five (5) meteres of a private or public dock is prohibited. No unattended lines are allowed off of the member’s or accessway docks. *If you catch a Carp, please be sure to release it back into the water. Ice fishing holes must be made by an ice auger and no larger than 8 inches in diameter. Ice fishing holes may not be drilled any closer than 20 feet of ANY prepared ice surface. *All fishing rules apply to ice fishing as well. For more information on fish handling techniques, and how to properly catch and release, please visit My Wild Alberta. Please note that our fishing rules still remain in place at all times. According to the Old Farmer’s Almanac, the best times to fish are when the fish are naturally most active. The Sun, Moon, tides and weather all influence fish activity. For example, fish tend to feed more at sunrise and sunset. During the “morning rise” (after sunup, for a bit) and the “evening rise” (just before sundown and the hour or so after). During the rise and set of the Moon. When the barometer is steady or on the rise. When there is a hatch of flies – caddis flies or mayflies commonly. When the water is still slightly rippled, rather than when there is wind. According to the Old Farmer’s Almanac, fishing is said to be best during the time between a new moon and a full moon. This is what they have based their best fishing days on, below. For a more in depth look at the Moon phase times, see their Moon Phase Calendar.